I don't think I will ever own enough nail polish. I had 115 when I last counted and I've purchased quite a few since then... it's a problem. I've blogged about my love for neons in the past but my other favourites are pastel shades. 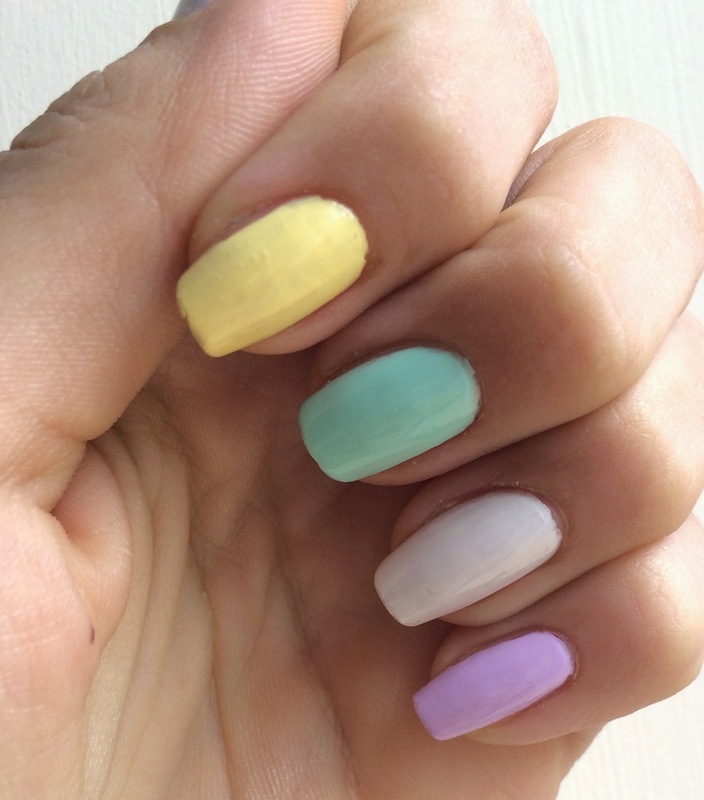 While neons look great with a tan, pastels work all year round and are a lot more subtle. Models Own is a brand I have had many problems with, but I just keep going back for more. Something just makes me go 'maybe this time they will be better' and I get tempted in with another of their offers. They are not the longest lasting polishes out there but I tend to paint my nails every few days anyway so it's not a huge problem. Their recent '6 polishes for £20' offer got me, with their polishes generally a fiver each this meant 2 new polishes free, or in my case 2 new nail art pens as I didn't fancy any of the other colours. 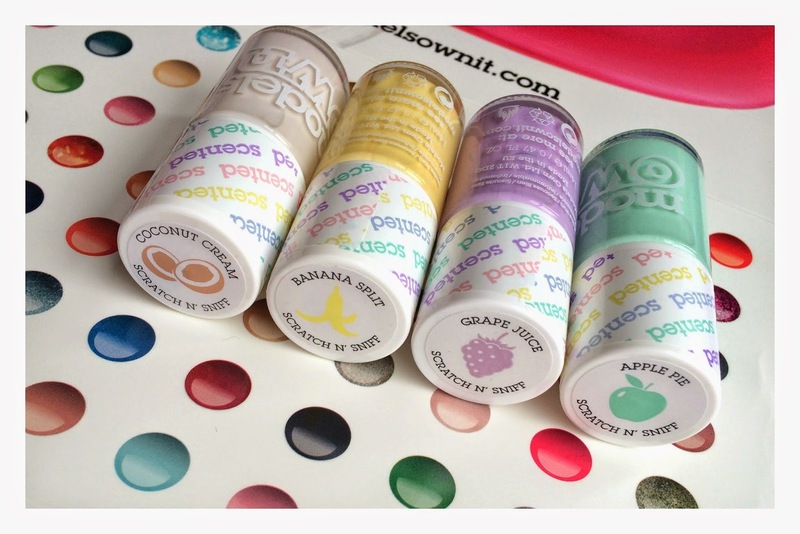 I decided to try out a few of their Fruit Pastel scented polishes. I have to say I have mixed opinions on these, which seems to be the way with my relationship with Models Own. They can be very hit-and-miss. Their lids seem to break and come away from the brushes, often they are either gloopy or streaky, and I wanted to love their Hypergel range but they chip after a matter of hours. 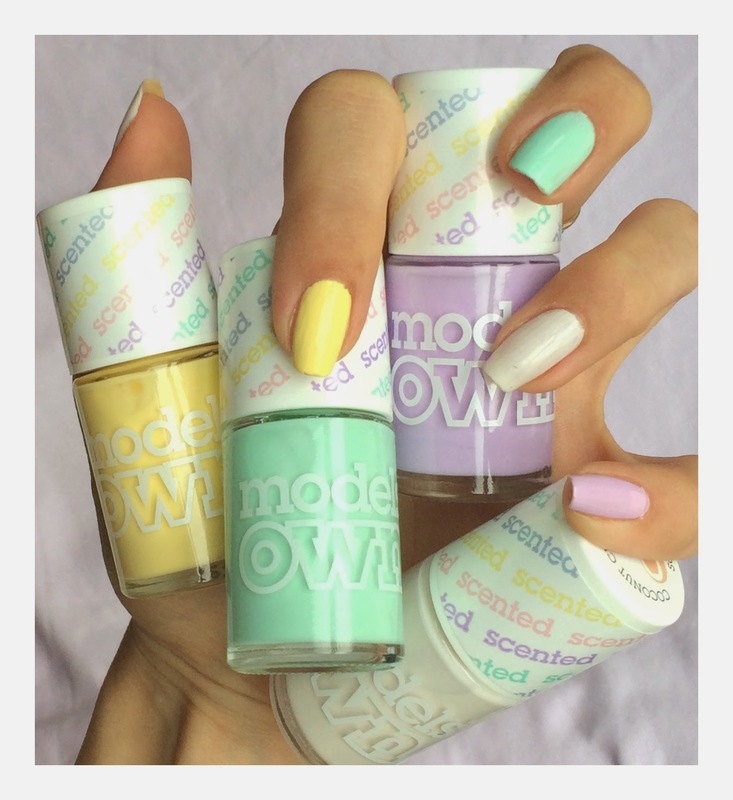 But Models Own do some amazing colours - I'll give them that! I placed my order, crossed my fingers and hoped these would be alright. The colours are so pretty after all. 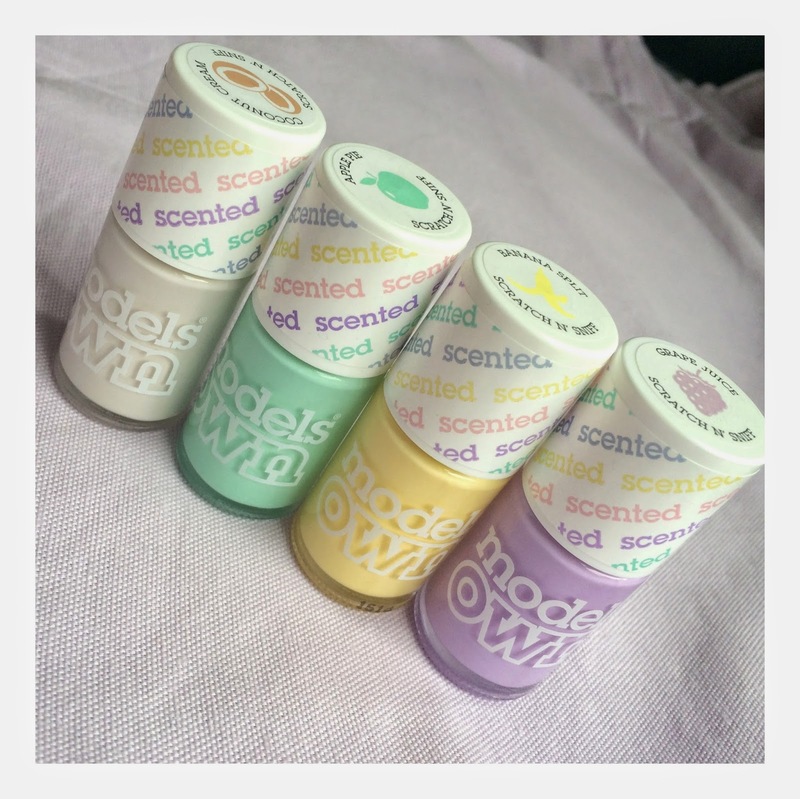 I wasn't that bothered by the fact that they are scented, I don't really get the 'scented' gimmick to be honest. I don't often sniff my nails throughout the day -maybe some people do, I don't know! All of these polishes needed 3 coats to be opaque (some needed 4) and a couple had a bit of a gloopy consistency so were a bit difficult to work with. Coconut Cream is the main reason I placed the order. It's one of their new additions to the line and I've been after a white polish for a while. As much as white nails are in, when they are pure white they can look a bit much, some resemble Tipexx a little too much for my liking. When I saw this was more of an off-white shade I knew it was one that would be easier to pull off. As expected this was a little streaky, but I find that with lighter shades. Even higher end brands need a few coats so that didn't put me off. The coconut is actually such a lovely summery scent too. I've been meaning to buy myself a pale yellow, Lemon Meringue from Models Own's Ice Cream Sundae range always seemed a bit too yellow and when I saw Banana Split I knew it was the shade I was after. I love the colour but I absolutely hate the scent, it's a really strong artificial banana smell, so strong that when I had each of my nails painted different shades, it was only this one I could smell. If only they hadn't named Lemon Meringue first then we may have been spared the scent. Lemon would be a much nicer smell or even pineapple! Pineapple would be lovely! This one just reminds me of the medicine I used to be given as a kid. Plus doesn't banana only really smell as it's going off...? Did I really need another mint shade? -probably not but I love Apple Pie and it's slightly lighter than the other mint polishes I already own. I'll definitely get a lot of wear out of it as it's one of my favourite colours, especially in Summer. It's the easiest to apply of the lot, it's not as streaky as the rest. I find the smell quite subtle which I expected to hate as apple isn't really a scent I like -but it's not that bad. I was slightly concerned that Grape Juice was going to be identical to my most worn Models Own shade -lilac dream But in fact it's lighter and a lot pink -toned. This is my favourite of the bunch, it may actually have taken Lilac Dream's place actually! it's such a lovely colour and the scent reminds me of those scented gel pens. It also has a pretty good formula, I could have got away with only two coats and with a glittery top coat I found it lasted about 4 days without chipping -which is good for Models Own. One thing I didn't realise was that the lid has a scratch-and-sniff label, if I'd smelt these in the shop I wouldn't have bought Banana Split as I would have been put off by the smell! Sadly buying online didn't give me that advantage. Overall not a huge hit but not a massive miss either. Will I continue to purchase Models Own...we'll see. it's a shame the formula isn't so good -the colours are great! I love the colour of these! All such gorgeous pastel shades. I've never actually tried Models Own nail varnishes, these ones sound good but it's a shame about previous ones you've tried! the brand is so hit and miss. If you can ignore the lasting time and the formula then go for it -the colours are so lovely! Very interesting. I have never owned anything from Models Own but from this review I don't know if I would buy anything! that's ok. It's such a shame! I really want to like them!